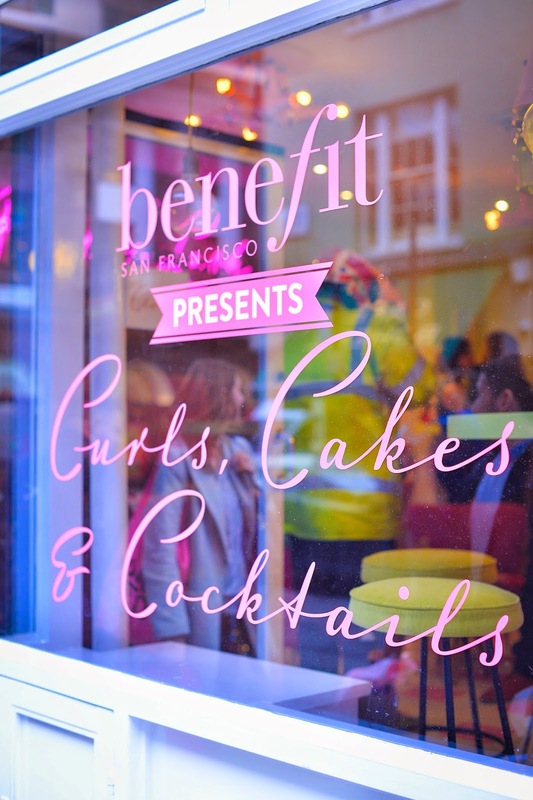 Curls, Cupcakes & Cocktails at Benefit’s Curl’s Best Friend parlour! 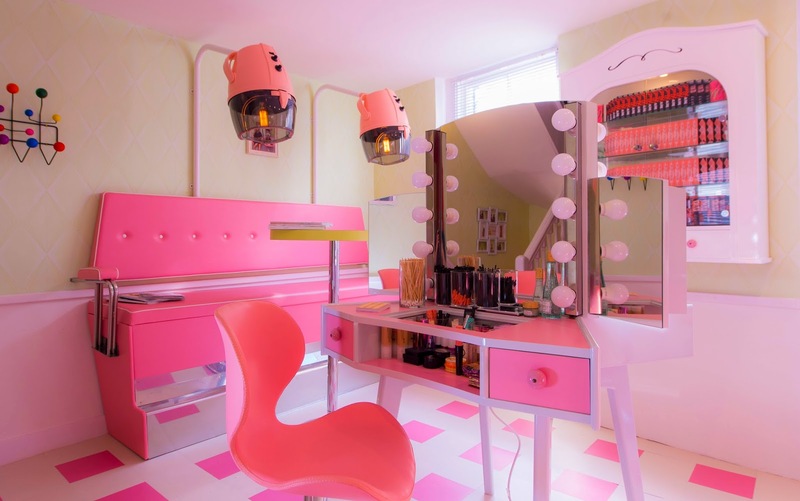 Stepping into the Benefit Cosmetic’s Curl’s Best Friend parlour in SoHo is like stepping into a girly, 1950’s beauty parlour, with a little bit of ‘The Jetsons’ type furniture mixed in for good measure! 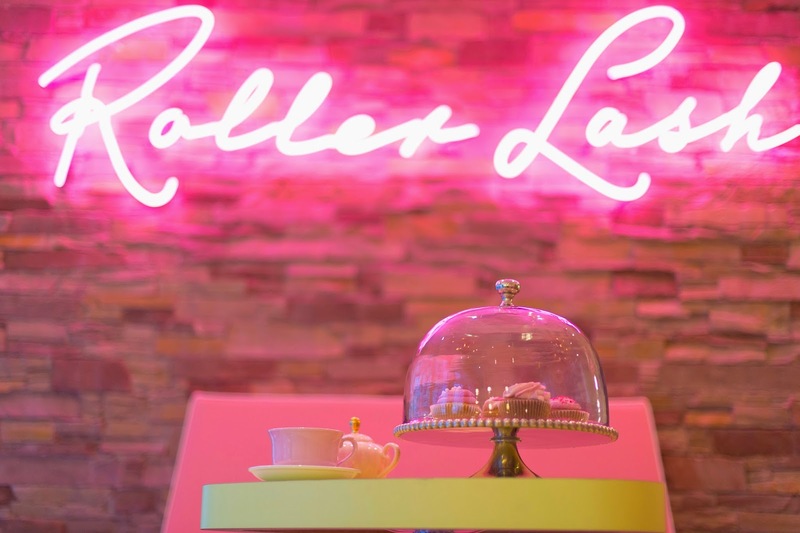 Complete with retro lime and strawberry tables, baby pink diner style sofas and pink and white floor tiles, there’s no better place to enjoy a coffee or cocktail after a long day’s shopping, but be quick! It’s only here til the end of March. 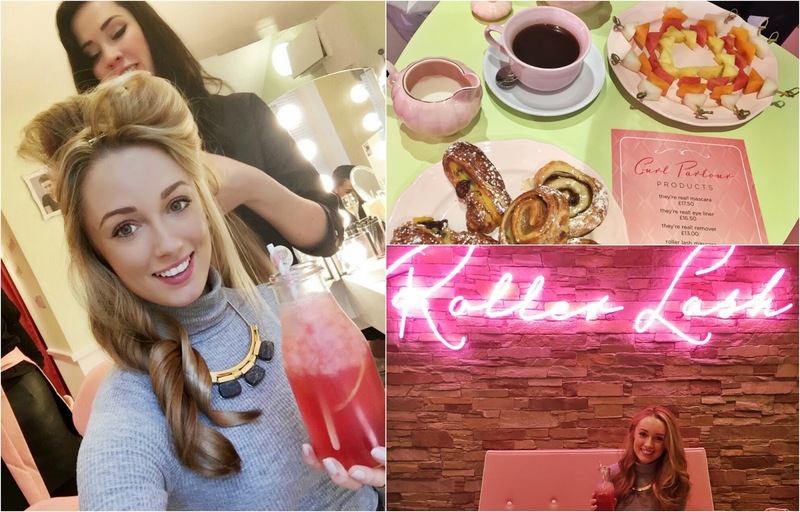 Located at 26 Greek Street in London’s Soho area, us girls can now book a table at the Curl’s Best Friend parlour and enjoy retro themed cocktails and cupcakes, or coffee and cakes along with a variety of beauty treatments from the Bene-Babes! The pop up is located over three floors, each with a different theme. 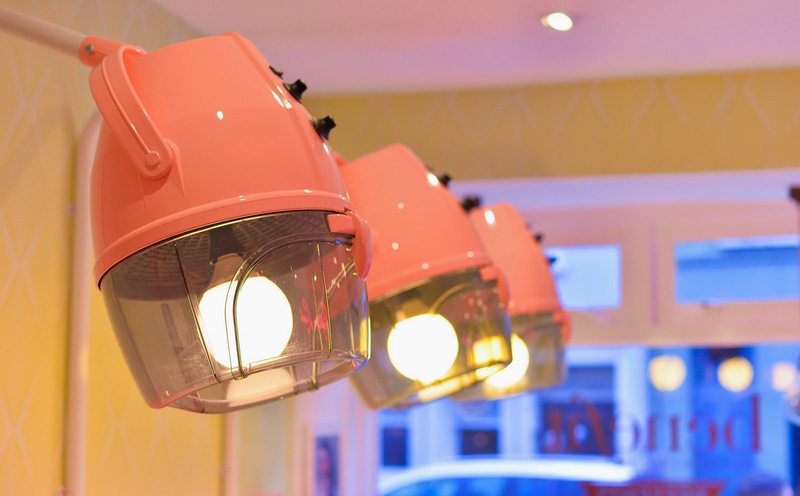 On the ground floor, complete with retro hairdryers recommissioned as lighting fixtures, you can pop in for a quick coffee, and try out the new Roller Lash mascara (and treat yourself with an extra 10% off any Benefit products!). Up the pink carpeted stairs on the first floor is a 1950’s style beauty parlour, with two makeover stations and an area for ‘faux dries’ (blow dries without the washing part!) or a brow treatment. I was given the speediest Faux Dry and walked out with super big bouncy curls which even managed to survive the wind and rain! 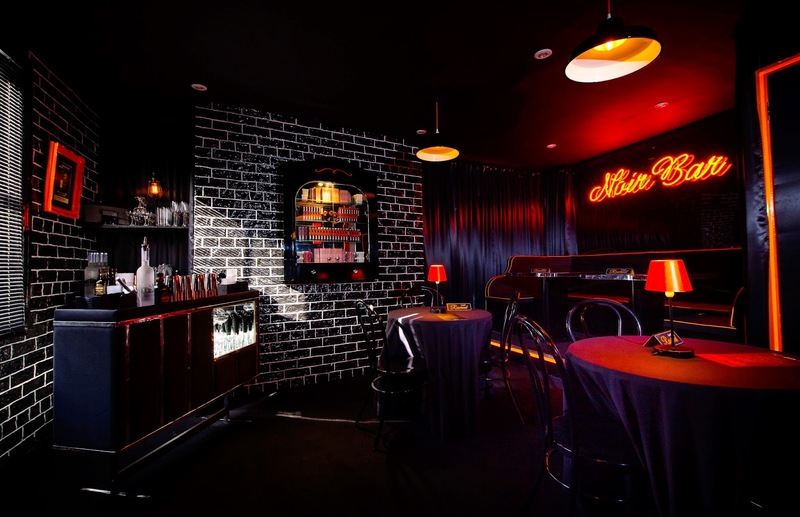 Up on the second floor is a theatrical bar themed around the best selling They’re Real mascara; with plush black carpeting and glossy tiles, the Noir Bar is the place to head if you want a cocktail with the girls between your beauty treatments, and boogie away to some 1950s tunes! The Curl’s Best Friend pop up is open now, until the end of March, and you can book a table or treatment on 020 3620 4747, and click here for more information. If you’re not close to London, fear not as the Bene-Bus will be on tour across the UK, bringing the parlour to a place near you! 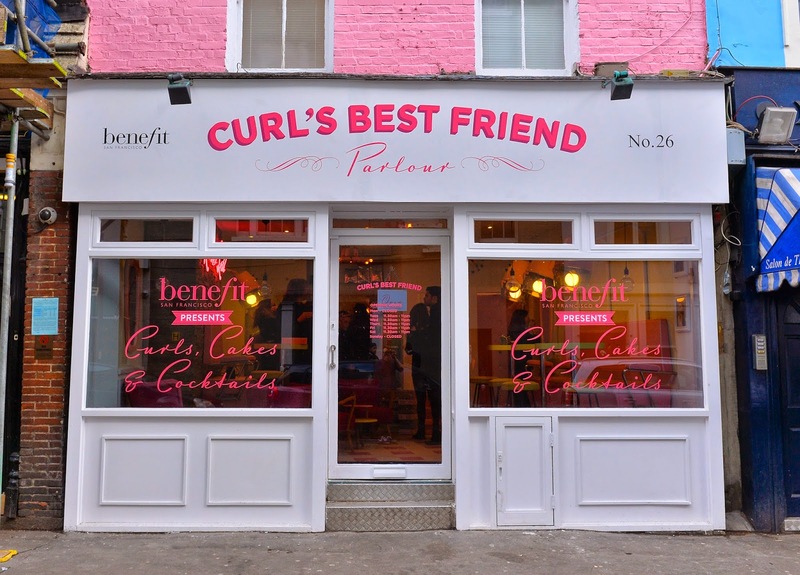 Will you be visiting Benefit’s Curl’s Best Friend parlour? Don’t forget to tweet me if you do go, and use #Rollerlash and #CurlsBestFriend.